Mehboob studio is always filled with Star and usually, we spot many celebrities at the Mehboob studio. 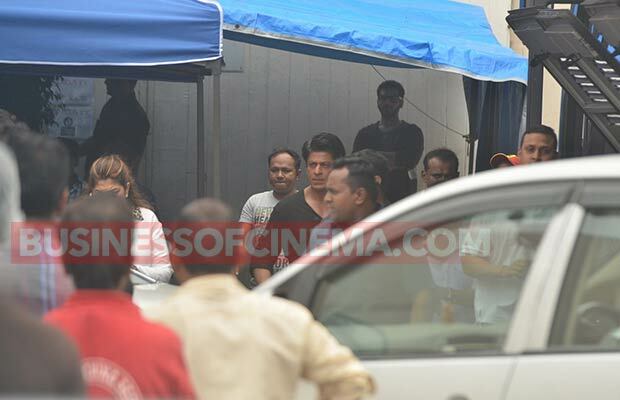 Yesterday, we spotted Shah Rukh Khan at Mehboob studios. 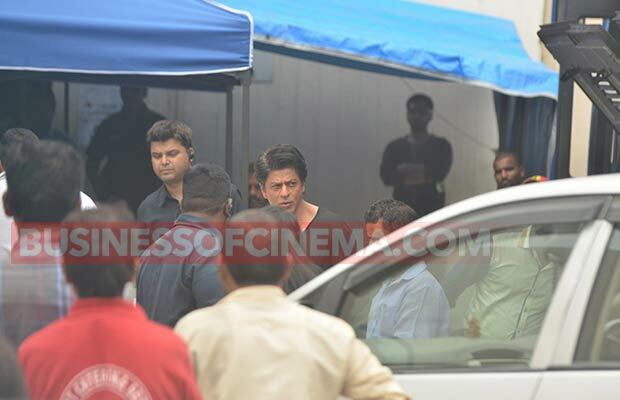 Seems like Shah Rukh Khan had come to shoot for an ad shoot at the studio. Dressed in black Shah Rukh was looking too smart. He waved at his fans and was looking super composed. 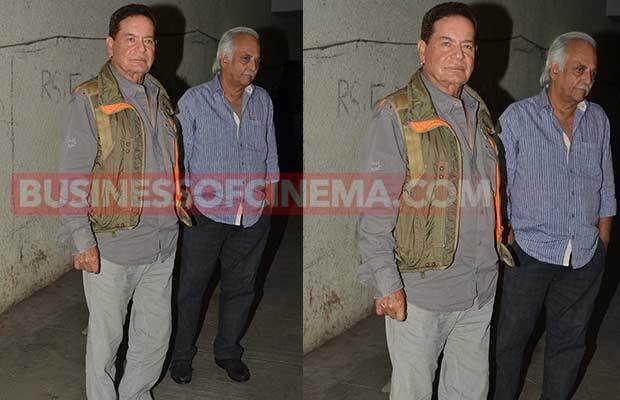 Not only Shah Rukh Khan but even Salim Khan was spotted at the studio. 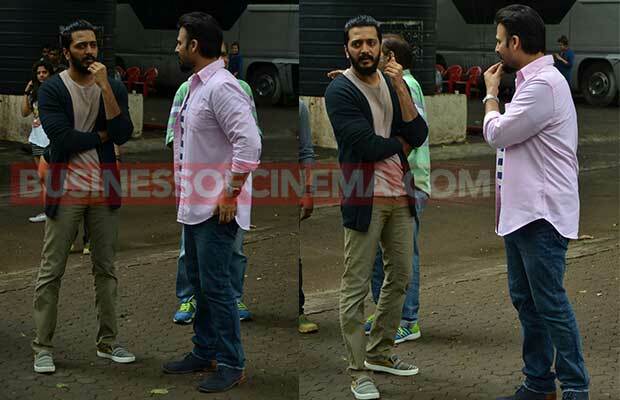 Apart from them, the team of Great Grand Masti was also spotted at the studio. 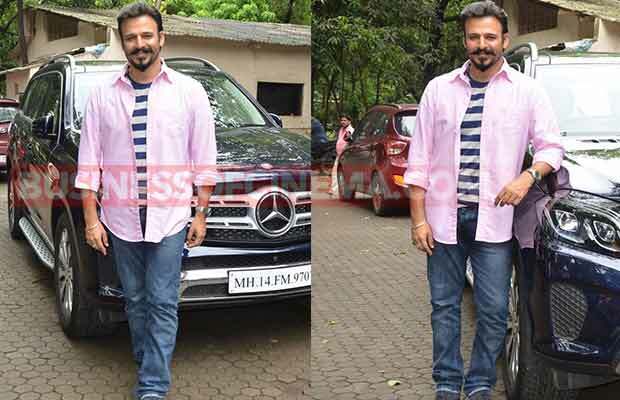 Vivek Oberoi, Ritesh Deshmukh, and Urvashi Rautela were spotted at the studio. They posed for the shutterbugs and the trio was looking extremely happy together. Urvashi was dressed in the blue gown and seems like they were there to shoot for some dance number. Urvashi had teamed up her outfit with matching blue jewelry. On the note, Great Grand Masti is all set to hit the theaters on July 22nd and is directed by Indra Kumar. The film has Vivek Oberoi, Ritesh Deshmukh, Urvashi Rautela and Aftab Shivdasani in the lead. Meanwhile do check out the pictures and tell us about your favorite picture in the comments below. Previous articleZayn Malik And Gigi Hadid’s Adorable Photos! Next articleBigg Boss Fame Mandana Karimi Watches Salman Khan’s Sultan With Kids!